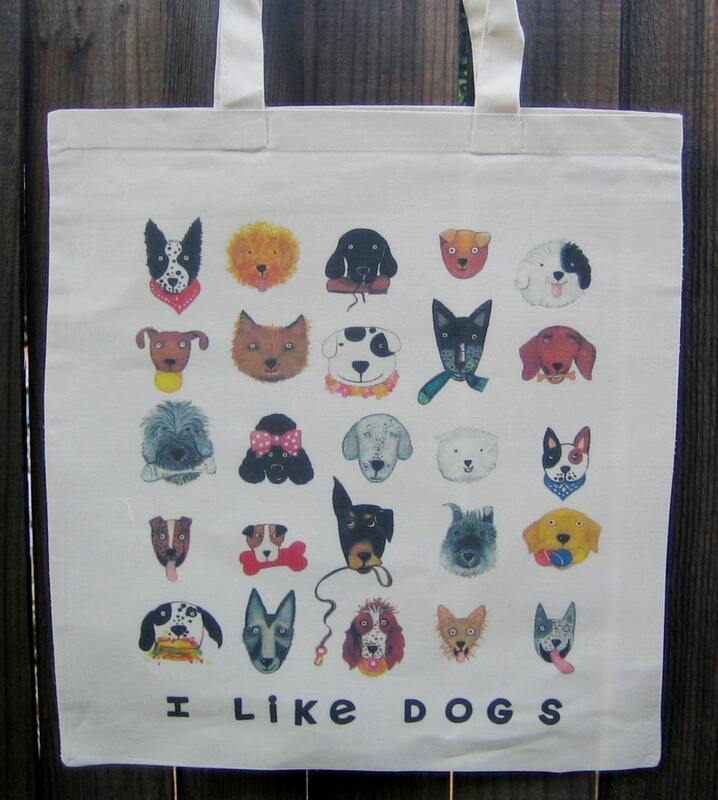 I LIKE DOGS features a variety of mutts and mixes, all happy to be dogs. 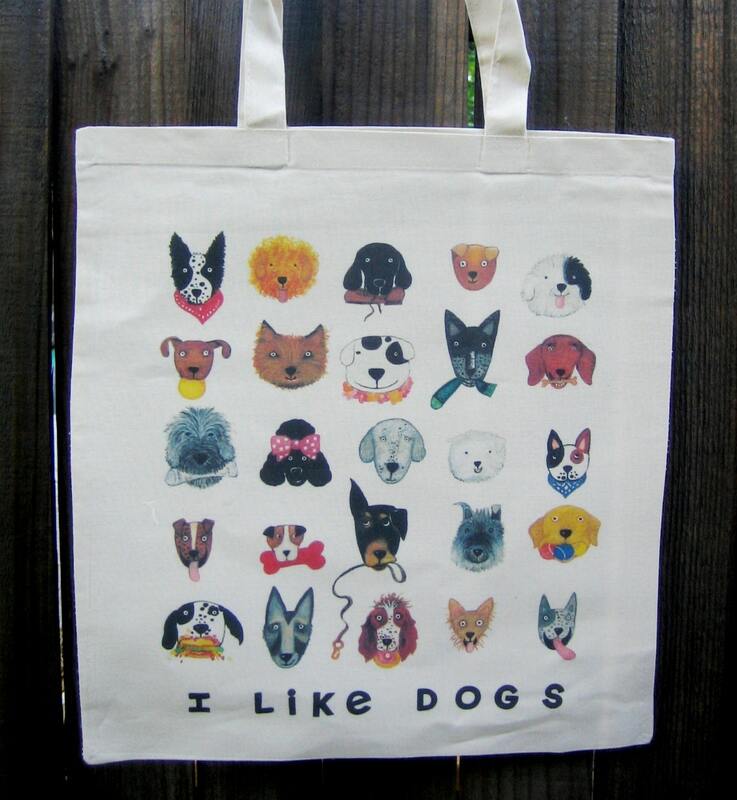 Design is digitally printed from high resolution scan of original watercolor illustration on cotton canvas tote bag. Bag is appx 15.5X15.